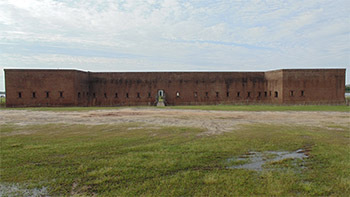 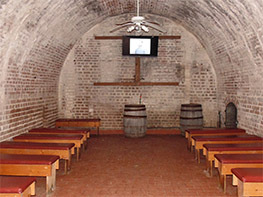 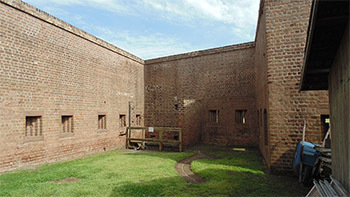 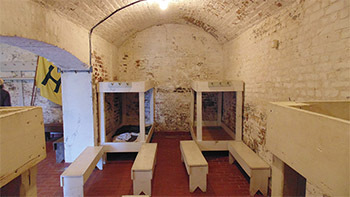 Visit the Starforts.com Fort James Jackson page here! 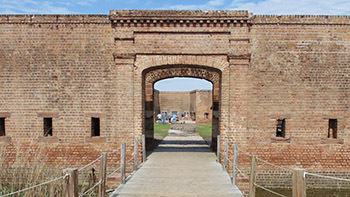 Fort James Jackson, known locally as Old Fort Jackson so as to distinguish it from the newer, larger and notionally more significant Fort Jackson on the Mississippi River south of New Orleans (and which name I find vaguely offensive for reasons that are difficult to determine), is a weird little fort. 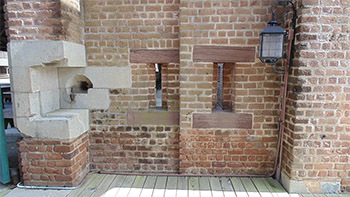 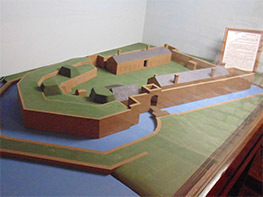 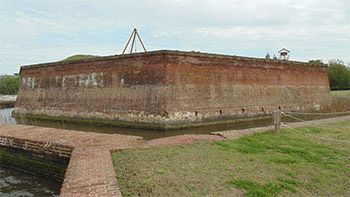 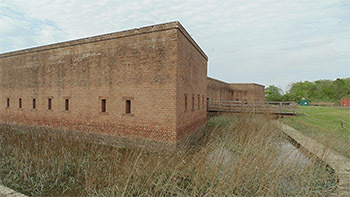 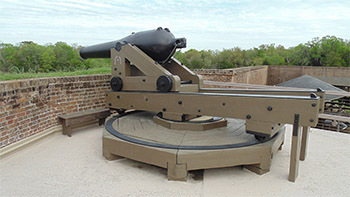 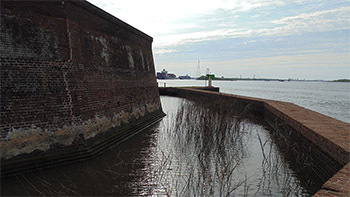 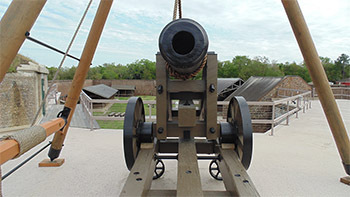 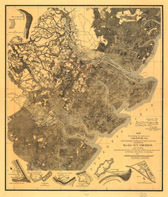 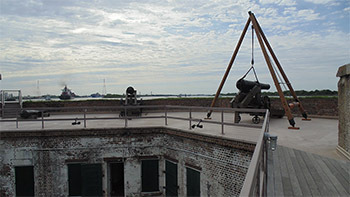 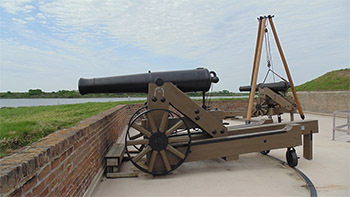 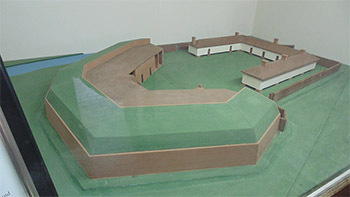 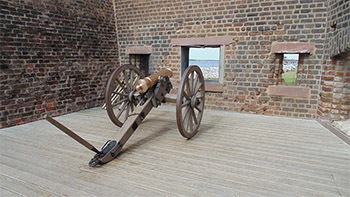 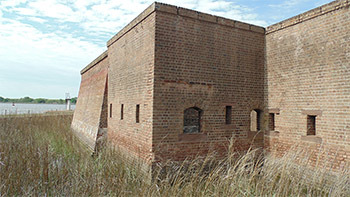 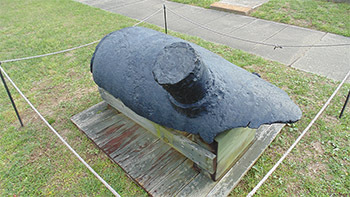 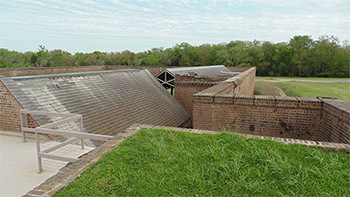 Built in an age when the short range of artillery necessitated a fort being built almost directly atop that which it was intended to defend (which in this case was the bustling seaport of Savannah, Georgia), it was swiftly marginalized by Fort Pulaski further down the Savannah River, whose construction started in 1829. 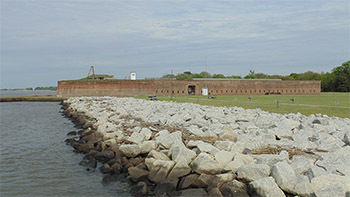 Though built at a desperately strategic spot in 1808, Fort James Jackson seems pretty far removed from much of anything other than industrial shipping concerns today. 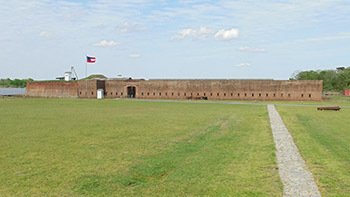 That said, it was well-marked and easy to find, plus it seemed very close to the fort that I and my stalwart starfortin' sister had visited earlier in the day, Fort Pulaski...or at least it seemed close based on drive time. 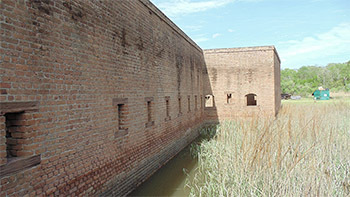 The two forts probably didn't seem all that close for the guys who had to march from one to the other. 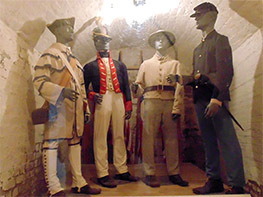 Admission into Fort Jackson, arranged at the facility's charming little Visitor's Center, was a nice round figure of $6.54 per adult. 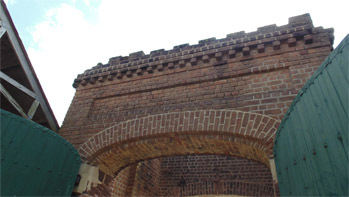 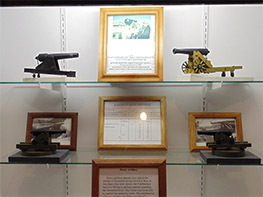 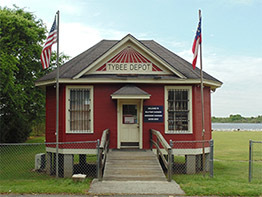 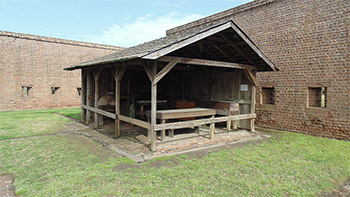 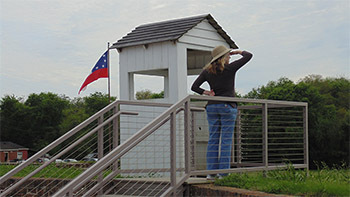 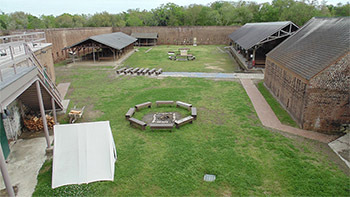 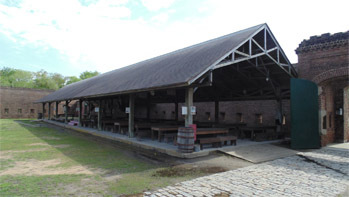 Tybee Depot, as that Visitor's Center is known, also sells a series of fort-related products, all of which of course refer to the fort as "OLD Fort Jackson." 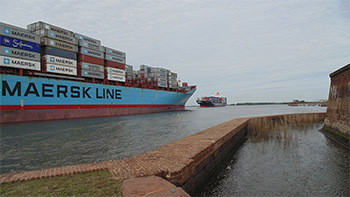 Which forced me to short-sightedly boycott their products. 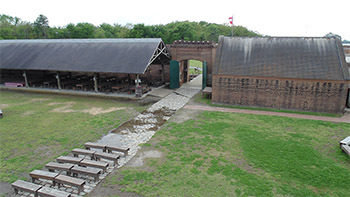 This fort clearly hosts plenty of visiting groups, as there were little groups of bench seating set up in several locations throughout, but as my intrepid starforting sister and I arrived there towards the end of the day, we only had to share it with a few other folks. 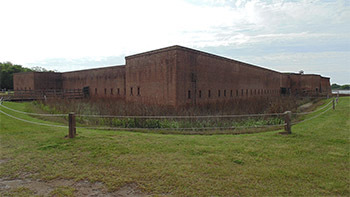 Which was just as well, because if you haven't noticed yet, Fort James Jackson is tiny, compared with most other American masonry forts. 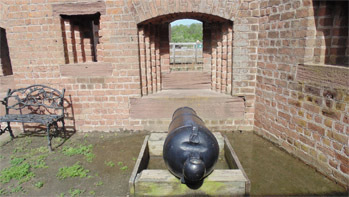 Tiny though it may well be, this fort isn't hurting for artillery pieces! 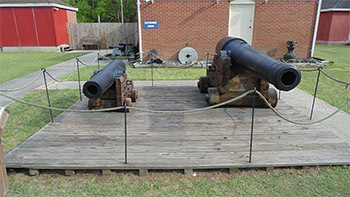 With six mounted guns inside the fort (five of which appear to be originals) and several more gun tubes and other hefty curiosities outside, Fort James Jackson is better armed than many larger forts I've visited. 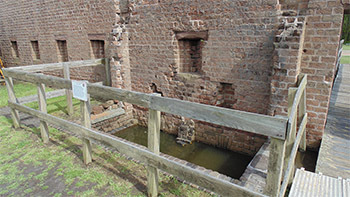 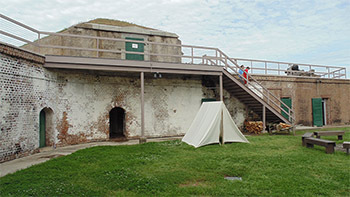 Despite its oft-mentioned smallness, Fort James Jackson had a lot going on inside. 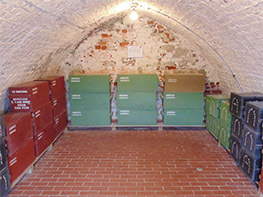 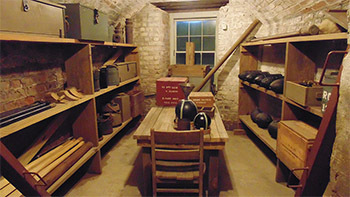 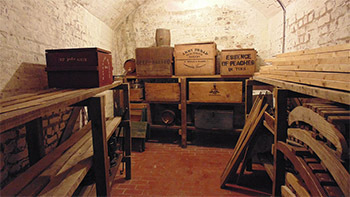 A particular surprise was its museum, wedged into the fascinating inner architecture of the main gun battery. 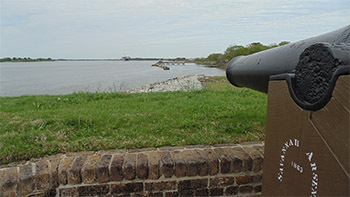 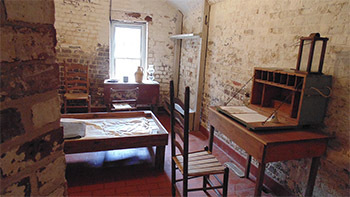 Please click on the icon to the left to see a pdf version of the inside of Fort James Jackson's Visitor's Guide pamphlet, which I secured from the source. 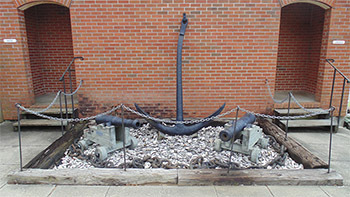 In case you are new to the Internet, allow me to explain how this works: Please click on any of the images on this page to view its full-sized counterpart, along with more of my piercing insights.